Russian prosecutors have charged a prominent Ukrainian politician with inciting terrorism, after he called for Islamic State to attack Russian pilots involved in the campaign against ISIS in Syria. Gerashchenko said he received a message on Facebook which said that “Russian propaganda channels” and Russian army in almost every report “show off” their military personnel in Syria. 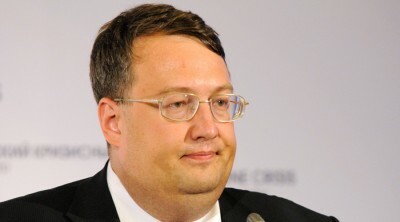 The post, as well as Gerashchenko’s Facebook page, were unavailable for several hours. But later the post, as well as Gerashchenko’s page, reappeared. An image of the post can be viewed, however, thanks to a screenshot. “I think that their faces [on TV] will be enough, so that Islamic State militants and their supporters in Russia, the majority of whom are in the Caucasus region, could then find them and take revenge [on them] under Sharia law,” the Facebook user wrote to Gerashchenko. The majority of Gerashchenko’s Facebook friends supported the idea, calling it “brilliant” and “effective.” However, not everyone got motivated by such a call. “Anton [Gerashchenko] is already supporting Islamic State?” “Has Ukraine already solved its own problems” “Anton Gerashchenko, are you nuts?” asked users in the comments under the post. Several of those mentioned on the website, with the most high-profile ones like opposition politician Oleg Kalashnikov and opposition journalist Oles Buzina, were killed shortly after their personal details turned up on the website.